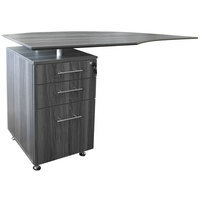 Our selection of office desks includes standing workstations, which are perfect for your health-conscious employee. 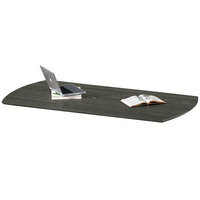 These items allow individuals to stand up while they’re typing or performing other duties to relieve the amount of stress put on their backs and necks. 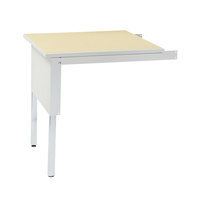 We also have desktop units, which sit on top of your desks to elevate computer monitors to eye level. 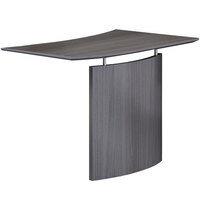 Also make sure to check out other great items from 360 Office Furniture, Alera, Basyx, Bush Business Furniture, Correll, Ergotron and Fellowes. 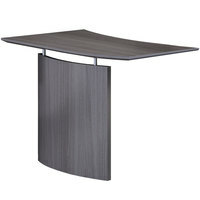 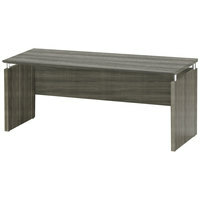 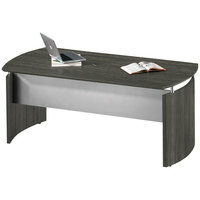 Mayline MNDBLGS Medina Gray Steel Laminate Curved Desk Base - 72" x 36" x 29 1/2"
Mayline MNDT72LGS Medina Gray Steel Laminate Curved Desk Top - 72" x 36"
Mayline MNEXTLLGS Medina Gray Steel Curved Left-Hand Desk Extension - 47" x 24" x 29 1/2"
Mayline MNEXTRLGS Medina Gray Steel Curved Right-Hand Desk Extension - 47" x 24" x 29 1/2"
All of the office desks we carry have stainless steel or aluminum frames, both of which are durable enough to withstand daily use. 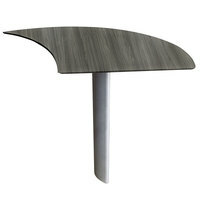 You can also choose from products with different laminate or wooden finishes to complement your establishment’s decor. 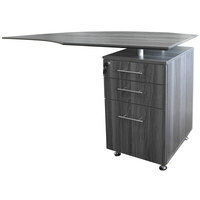 Additionally, it’s convenient that most of these products are mounted on casters, so you can easily move them if you’re cleaning or rearranging your office setup. 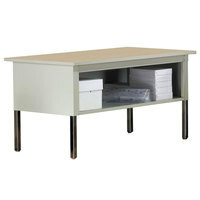 For other essential supplies to have in your establishment, check out our computer carts, podiums, and whiteboards. 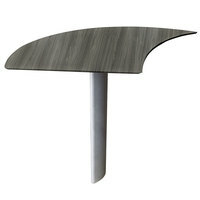 If you're wondering where to buy mayline desks and desk bases, we have a large selection of mayline desks and desk bases for sale at the lowest prices.